Drako is a 2 1/2 year-old Belgian Malinois who can “sniff out” narcotics as well as tobacco and cell phones. Drako was scheduled to be on Larry King Live Tonight at 6 p.m. on August 6 ( with guest host Jeff Probst) showing off his skills. Richard Subia, Deputy Director of the Division of Adult Institutions is also scheduled to be on Larry King, and will be interviewed about the issue of drugs and contraband cell phones, the safety risks they pose, and what CDCR is doing in response. Sgt. 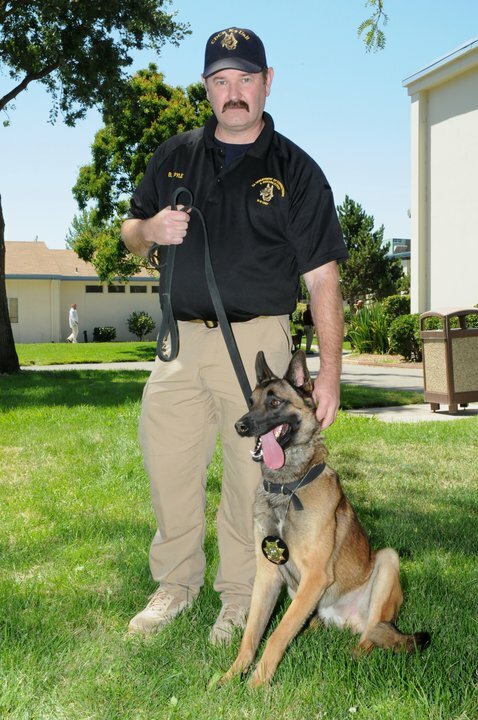 Wayne Conrad, Statewide Canine Program Coordinator, and Drako, one of CDCR’s contraband detection dogs, will be featured and will conduct a demonstration in which Drako will search for phones and contraband. Drako was donated from a shelter. He is a peace officer with a badge and an ID and has been in service for one year. CDCR also provided photos of drug and contraband seizures from several prisons and other dogs in the canine program.